Sometimes we face incessant problems and despite best efforts there is no respite. So much so that the entire family has a dark cloud over it where all members are suffering. This suffering could include problems such as marital disharmony, addictions, miscarriages, feuds within family members and financial problems. We are bewildered and try to overcome them but we are kept at bay because the root of such problems lies in the spiritual dimension. 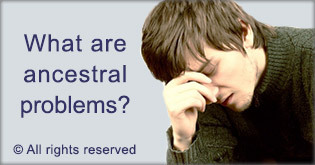 These problems are caused by our deceased ancestors. Such ancestral problems are levied to us descendants so that we take notice and help them in their afterlife. One of the reasons why all family members are affected is because they have the same ancestors. 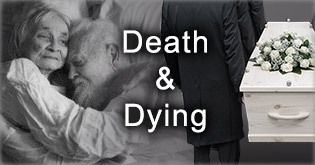 It is a cry of hope by our deceased ancestors as after death they are in the form of a subtle body or spirits and cannot do spiritual practice. Very simple and basic daily efforts can help alleviate our ancestral distress and give momentum to ancestral spirits in their afterlife. In this section learn how we can protect ourselves from problems caused by ancestral spirits and assist our departed ancestors in the afterlife. Believe it or not, problems like marital disharmony, addiction, and miscarriages are due to ancestral spirits. We find it unimaginable to believe that our close family members and relatives who have passed away would deliberately cause problems in our lives. Learn the two main reasons why they cause pain to us out of desperation. Who all are included in our ancestors? Understand the criteria of who are included as ancestral spirits. 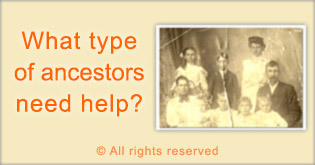 What type of ancestors need help? Ancestors between the 20-30% spiritual level need our help the most. Up to which generation of our ancestors are most likely to affect us? Learn up to which generation of ancestral spirits affect us and the reason why. It is said that sometimes our ancestors help us, is it correct? Some people and cultures across the world believe that their departed ancestors look over then and help them in their lives. Is it true? How is it that an ancestor at lower spiritual level has the strength to trouble but not to help? In nearly all cases, ‘help’ from ancestral spirits is limited to worldly help and not spiritual. Hence, when this is the case, ancestral spirits are not able to harness Divine Energy to assist them in helping their descendants. Ancestor veneration or ancestor worship is practiced in some form or another throughout the world. Find out if these practices are beneficial or detrimental for ancestral spirits? What is the spiritual perspective on contacting my departed relatives through a medium or an Ouija board? Understand why communicating with the dead has absolutely no spiritual value and rather causes loss for the deceased ancestor. Also, in almost all cases it misguides the surviving relatives. This article provides insight into the meaning of recurrent dreams of ancestral spirits, dead family members and what should be done by the surviving relative when they get such dreams. For those who are in a quandary about wedding plans due to the sudden death of a close relative such as one’s father or mother, this article provides spiritual perspectives to keep in mind. Read how Shweta Clarke and her husband had spiritual experiences and experienced significant benefits by performing rituals as per the spiritual science for departed ancestors. Petra Stich performed a simplified version of Shraddha, a ritual for departed ancestors, and she noticed improvements in her spiritual practice and well-being. 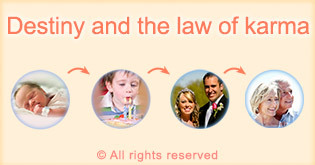 In the present era, 65% of our lives are governed by destiny and for 35% of our karmas, we can use our freewill. How does one overcome ancestral problems? By chanting the potent chant ‘Shri Gurudev Datta’ which is the Name of Lord Datta, we can overcome ancestral problems. What does the spiritual protective chant of Shri Gurudev Datta represent? His functions in the Universe is alleviating distress caused due to ancestral spirits. I am a Christian. Why should I chant Lord Datta’s Name? Chanting the Name of Lord Datta clears our give-and-take account with ancestral spirits. Understand the mechanism of how this works. Why Do People Need Spiritual Help After They Die? After death, depending on our spiritual level we go to one subtle plane of existence. As most people are not doing regular spiritual practice, many people go to the Nether region or regions of hell. When family members die, we pay tribute to their lives by offering flowers at their grave, by publishing kind words about them in their memory in the obituary section of a newspaper or hanging the photograph of the deceased in one’s house. However, all these have no significance in helping our ancestors in the afterlife. 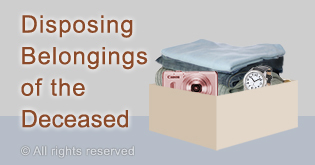 After a loved one dies, many people are unsure what they should do with their articles or belongings. 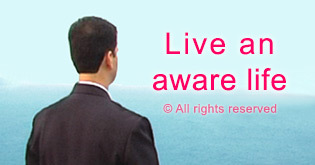 It is important that the surviving relatives follow certain spiritual guidelines it. When we do the protective chant of ‘Shri Gurudev Datta’ our departed ancestors receive spiritual help and our spiritual distress reduces. 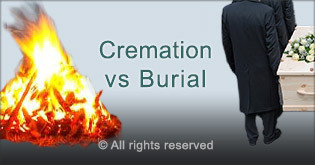 Cremation is the practice of disposing of a corpse by burning and is the most spiritually beneficial death rite. There is a fortnight each year when the spirits of our departed ancestors come closest to the Earth plane. Doing the Datta chant and a particular ritual can benefit our ancestors especially benefits our departed ancestors during this period. Cyriaque explains how he overcame problems with ancestral spirits by chanting Lord Datta’s Name. For 10 years, Shourya’s deceased sister would often appear to her in her dreams. Chanting Lord Datta’s Name made Virendra’s mouth ulcers disappear. Trouble caused by ancestral spirits due to family traditions not being followed. 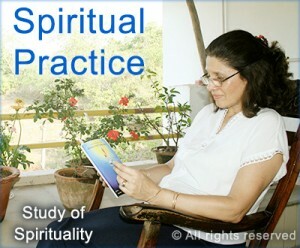 Read how V.D.’s ancestral problems were removed through spiritual practice. Learn how John’s hand eczema was cured by chanting Lord Datta’s Name. when a relative or person close to us passes away. 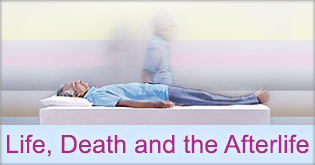 Understand what happens during our journey to the afterlife. Did you know that 65% of the events that happen in our lives are predestined? 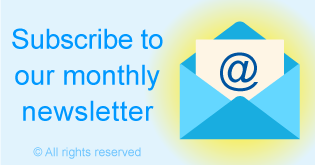 Increase your awareness of how the spiritual dimension influences our lives and why spiritual practice is a necessity. 80% of the root causes of problems in life are spiritual in nature. 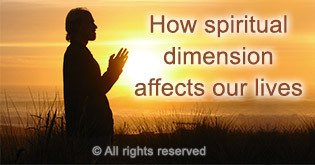 Understand how the spiritual dimension affects our lives. By understanding the spiritual root causes of the problems in our lives, we have a higher chance in overcoming them. halt within 24 hours of launch. Laminated picture of Lord Datta. One of His functions in the Universe is alleviating distress caused due to the subtle bodies of ancestors. The spiritual practice of chanting the Name of Lord Datta clears our give-and-take account with our ancestors & helps to protect us against problems due to departed ancestors.